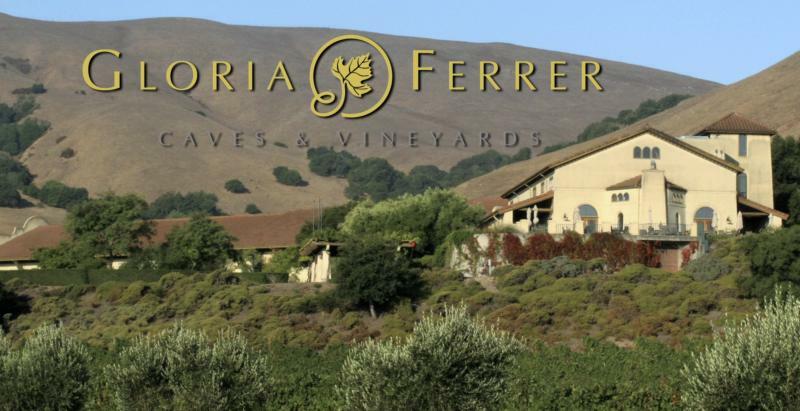 Gloria Ferrer was founded in 1982 by the Ferrer family as their primary venture into California winemaking. Owners of Freixenet S.A., one of the primarily Cava producers in Spain, they fulfilled the families lifelong dream of producing wine in the United States. Purchasing 156 acres of cattle ranch land, an additional 100 acres was acquired and production began. The winery was named after José Ferrer's wife, Gloria. The couple continue to run the winery together to this day. They began producing in 1986 and while primarily founded as a sparkling wine making venue, in the early 1990s they began producing still wine. Upon this decision, red wine producing facilities were built and the wine caves were expanded for storage of both types of production. Gloria Ferrer's wine making mission is: To capture the full expression of the distinctive Carneros terroir in wines made to pair perfectly with food. "This chardonnay smells of peach with a touch of meyer lemon. On the mouth the wine is crisp and bright with no oak. Flavors of pineapple, Asian fear and green apple continue on into a bright and long finish." Wine Spectator 90WS TOP 100 2009 Rank 78"A delicious mouthful of bubbly. Smooth, rich and creamy, revealing layers of black cherry, vanilla and ginger, with a hint of lemon drop. Finishes with a long, refreshing aftertaste of mineral and fruit. Drink now. 93,500 cases made." ~J.L. The bright, citrus flavors and lively acidity in this wine adds a bit of a high note to heavy dishes.